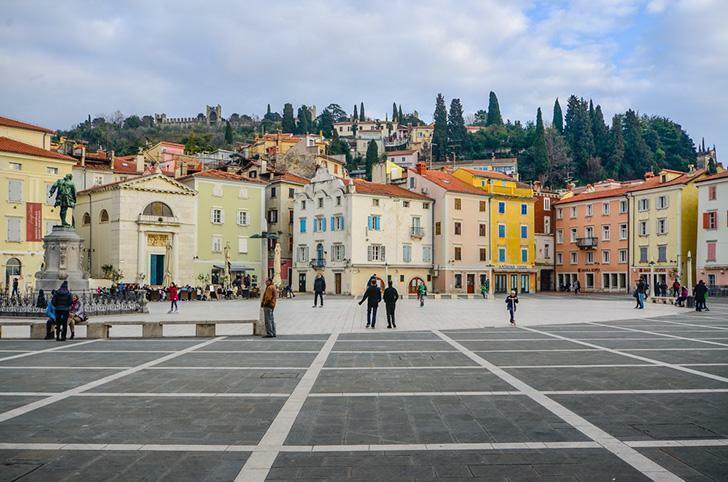 Adi spends a budget-friendly long weekend discovering things to do in Slovenia with kids, husband, and dog in tow. 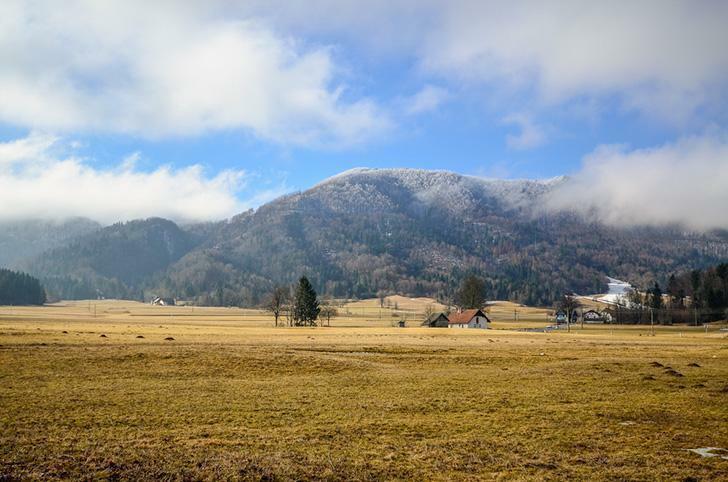 We were familiar with Slovenia from passing through it, once, on the way to Romania, and we knew it was worthy of a lengthier stay, but we never quite seemed to make it happen. However, that changed last month when, due to a federal holiday, we decided to spend a long weekend there. Because we had three days for a family trip to Slovenia, I made a list with what we wanted to see. I then chose accommodations within one hour of all the places we would visit. Because we travel with kids and our dog, this was going to be a slow and relaxing trip. After searching Airbnb for dog-friendly rentals, we chose Luka’s apartment in the sleepy town of Idrija. The town is nestled between hills and virgin forests assuring your peace and quiet at the end of a day trip. 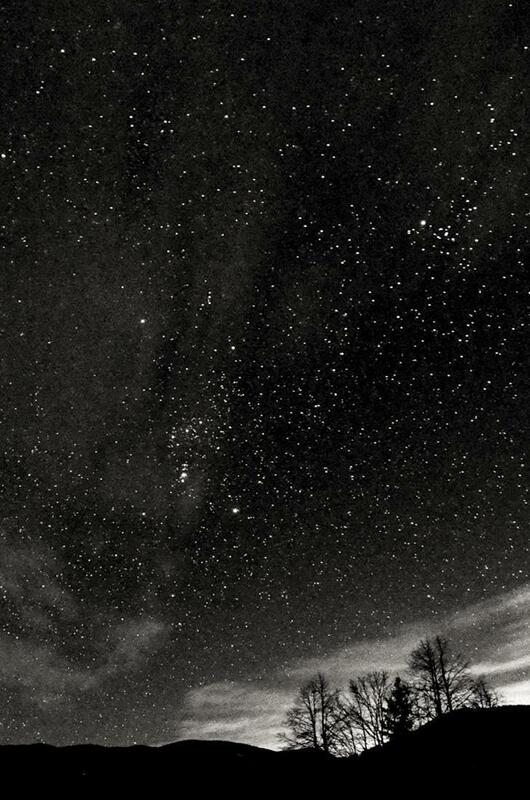 To our surprise, it came with an unexpected bonus – a night sky full of stars like I haven’t seen since my childhood, visiting my Grandma in the Romanian mountains. I could not have been happier with our lodging choice. Leaving Stuttgart, Germany, the drive is roughly six and a half hours. Of course, if you make a few stops and encounter traffic it can take longer. We were lucky to have no traffic at all and, being travel veterans; we only made a couple of stops. We arrived late evening, and after a good night’s sleep, we were ready the next day for our first sightseeing point. 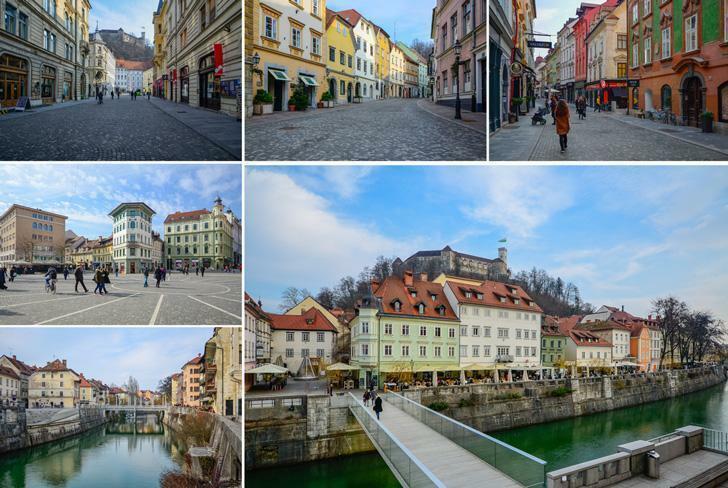 Ljubljana, about an hour from our rental in Idrija, is Slovenia’s capital and largest city. 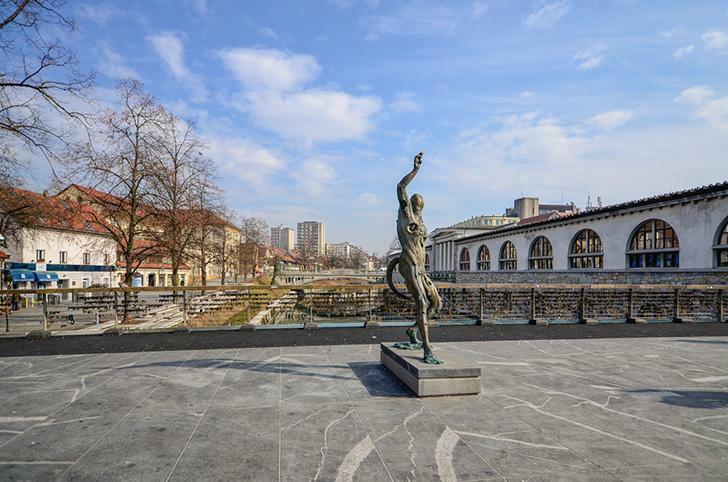 Ljubljana is a vibrant city hosting over 10,000 cultural events every year and has numerous museums and art galleries, with Ljubljana Castle dominating the city’s skyline from the top of the hill. Ljubljana Castle was originally a medieval fortress, probably built in the 11th century and rebuilt in the 12th century. The castle was used first as a defence structure, then, in early 19th century, it was used as a penitentiary. In the first half of the 20th century, the castle was used as a residential complex. Today, it’s a tourist attraction and a major cultural venue. Because we were there with our dog, we could not enter the castle itself, but we were allowed to roam freely around the castle’s courtyard and the viewing platform which offers you views over Ljubljana and the snowy mountains in the distance. Getting to the castle is easy. From the centre, follow the signs and then you have three options: a fifteen-minute upward hike, take the cable car, or drive. However, if you drive, you have no guarantee you’ll find a parking spot. Dating from the 17th century, the Franciscan Church of the Annunciation dominates the centre of Ljubljana with its gorgeous Baroque-style, red façade, a symbol of the Franciscan monastic order. The interior is covered with colourful frescoes. 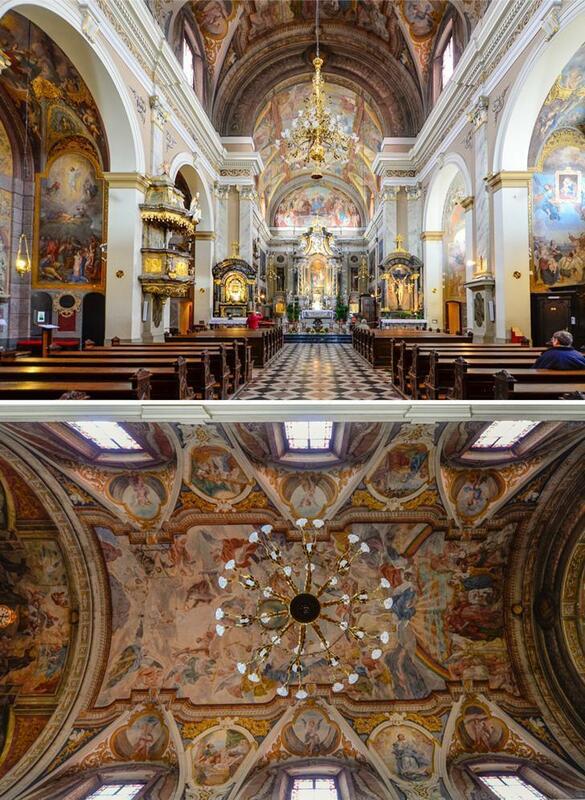 Unfortunately, the original frescoes were damaged by the Ljubljana earthquake of 1895 but have been beautifully restored by a Slovenian impressionist. I for one was taken aback by the beautiful interior, and I wholeheartedly recommend stopping here. Ljubljana’s Triple Bridge with the Franciscan Church of the Annunciation in the background. 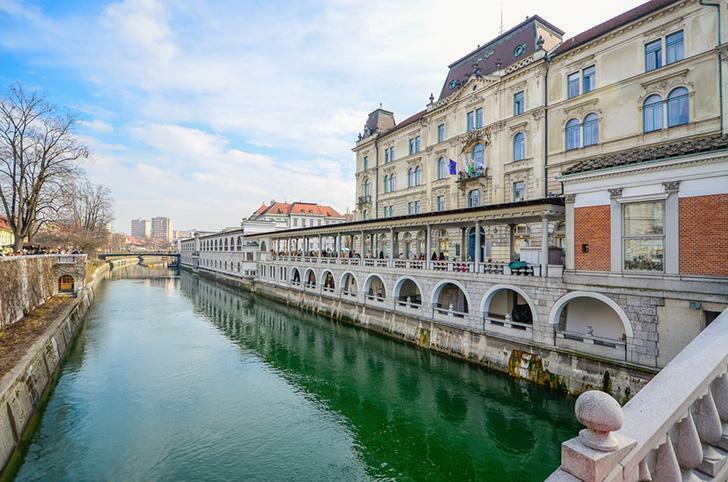 This group of three bridges across the Ljubljanica River connects Ljubljana’s historical, medieval, town on one bank, with the modern city of Ljubljana. The Triple Bridge is also called the Old Bridge since the first bridge on the same spot was mentioned as early as 1280. Being an entirely pedestrian area, many people, including street artists, congregate here to relax. 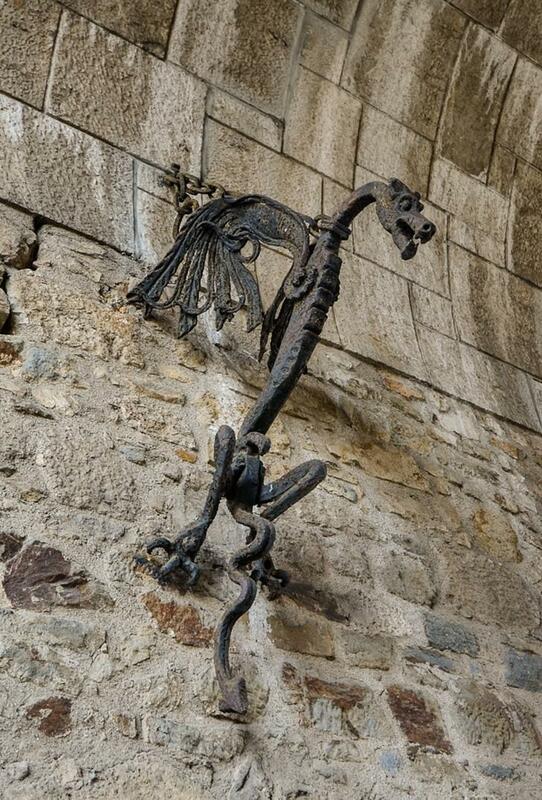 The Dragon Bridge also crosses the Ljubljanica River. The legend says Jason and his Argonauts killed a dragon and once it was defeated he started the city of Ljubljana, placing the dead dragon with three other statues at the ends of the bridge. Some local people have nicknamed this structure the “mother-in-law” because of its fiery nature. 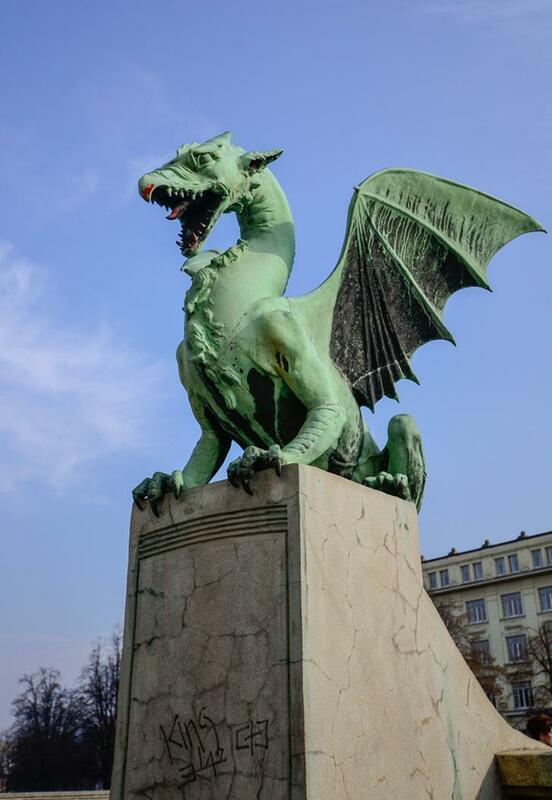 Because the dragon is a symbol of Ljubljana, it’s something you see throughout the city, giving you the opportunity to play a game of find the dragons, if travelling with children. We did this with our kids, and it kept them entertained. The Butcher’s Bridge was built to link the Central Market to the Petkovšek Embankment. The bridge’s plan dates from the ‘30s, but with the start of the war, it was postponed, until 2010. The bridge is unique due to the strange sculptures built on it. You will see Adam and Eve depicted banished from Heaven; a disemboweled Prometheus punished for giving humanity the gift of fire, along with grotesque smaller sculptures of fish and frogs on the bridge’s fences. 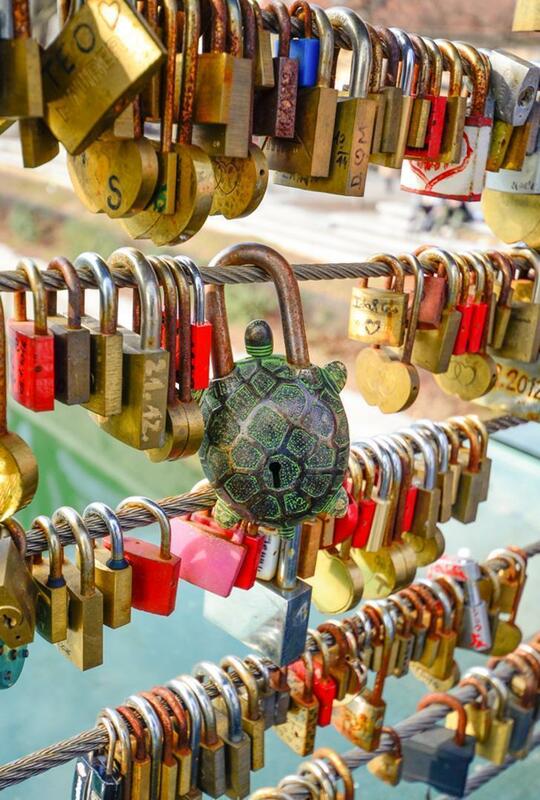 Because the sides of the bridge are wired, as soon as it was finished, love padlocks appeared almost overnight. No matter where we travel, I have to visit the farmers’ market. In Ljubljana, it was easy to find, being close to the main square. Just follow the smell of food coming from the food trucks on the side of the Central Market. Food is cheap and plentiful in the market. For lunch, we ordered plates of lightly battered, deep-fried fish, served with garlic and yoghurt sauces and chunks of hearty onion bread. I am salivating writing about it. It fed our family of four and had plenty left over, for just 20 Euro. For dessert, we wandered around the market and bought fresh raspberries that tasted just like I remembered from my childhood, in the countryside of Romania. We could not have been happier with our lunch option. 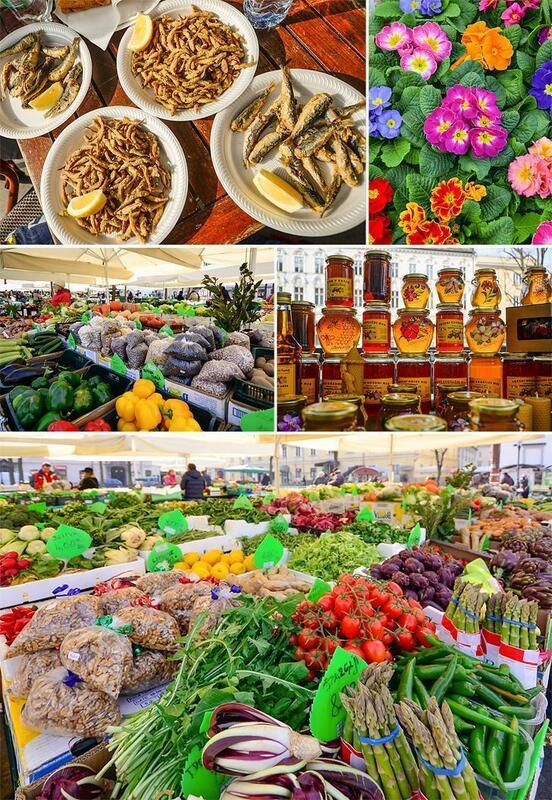 A visit to Ljubljana’s Central Market is one of the top things to do in Slovenia for foodies. Ljubljana was a great visit, and we were lucky to have a sunny, warm day, which made our first day in Slovenia perfect. 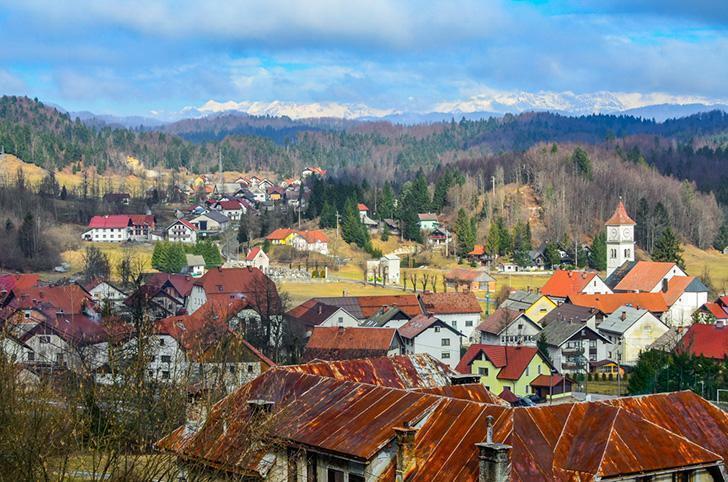 Our second day in Slovenia was dedicated to this beautiful southwestern town on the Adriatic Sea. I fell in love with Piran months ago, seeing photos of its beautiful medieval architecture, with narrow streets, and compact houses. I decided then; I had to see it for myself. Park near the Piran Marina for a short stroll into town. Piran was about an hour from our rental. Once in Piran, parking signs prompt you to park. Entering the town by car is impossible unless you live there and possess a yearly pass. Luckily, the parking area can accommodate plenty of cars. It’s right by the sea, and the short walk to the town is very pleasant. 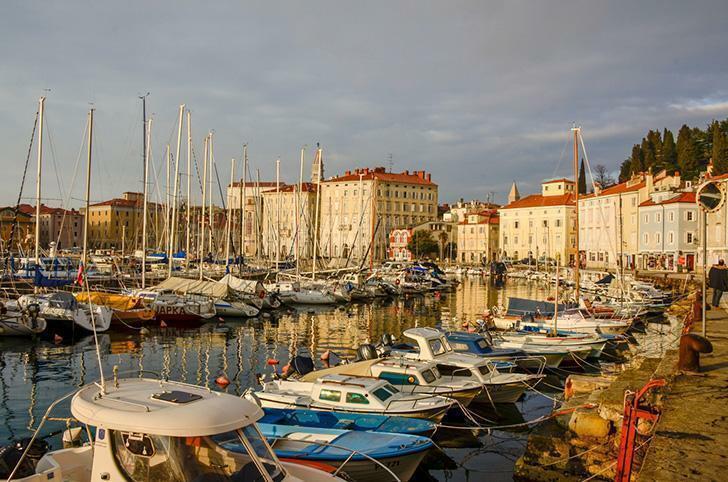 Once in Piran, you’ll first see the marina where the boats are moored. 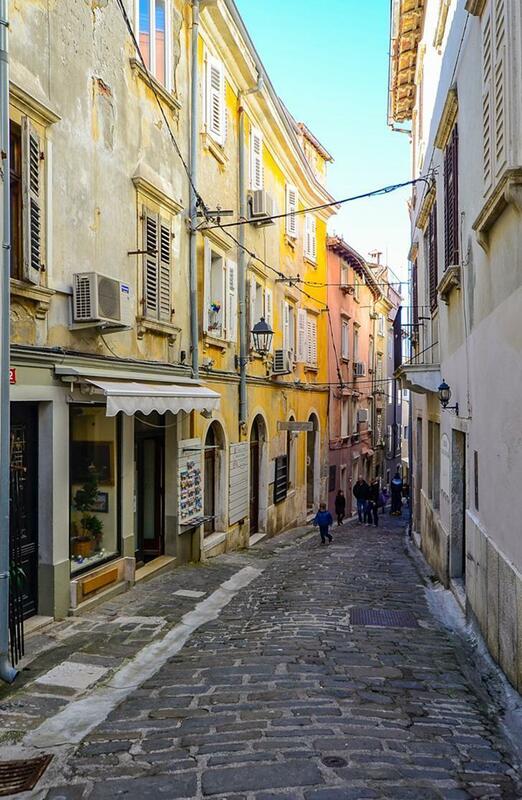 The entire town is covered in cobblestones, and the little streets are incredibly charming. From the marina, you will enter Tartini Square, the largest and main square in town. It was named for violinist and composer Giuseppe Tartini, whose statue you can see in front of the city hall. 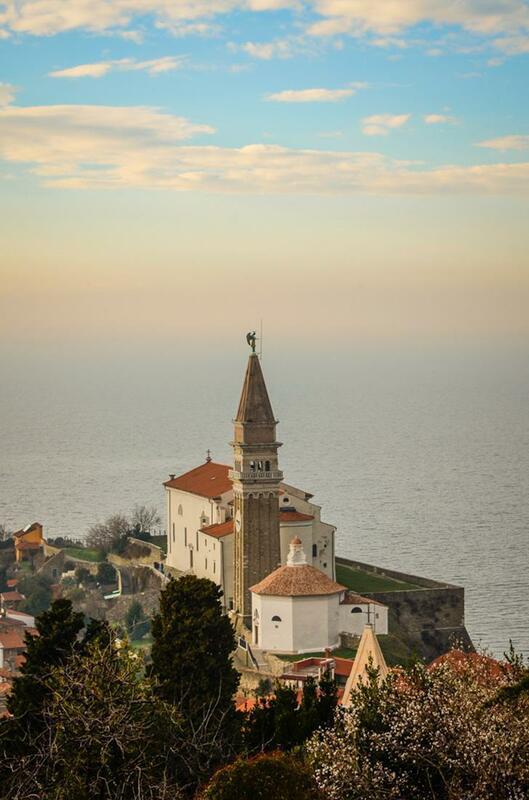 St. George’s Roman Catholic Church sits on the hill above Piran and was built in the Venetian Renaissance architectural style. The church was the life work of the stonemason Bonfante Torre from Venice. The tower is open to the public, for 1 euro, and offers beautiful views over the town’s red roofs. 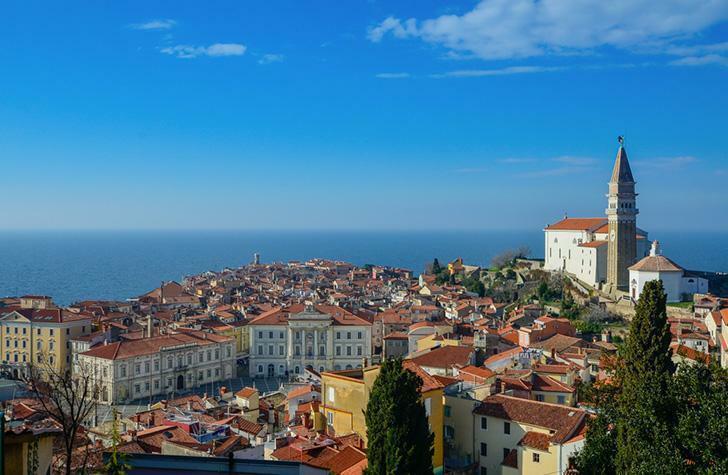 A visit to the walls of Piran offers a perfect view of the town. 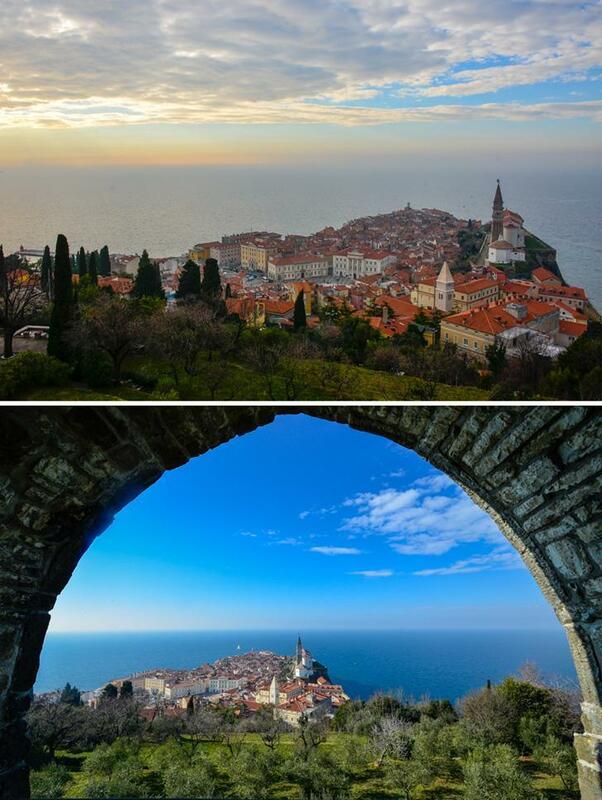 Started in the 7th century, Piran’s city walls were built as a result of the town’s expansion. Today they are well preserved, and visiting is free of charge. The best part about going on top of the wall is the spectacular panoramic views they offer over Piran and the Adriatic Sea. It was one of my favourite spots in town. We saw signs for the Piran Minorite Monastery and went looking for it not knowing what to expect, as it was not on my “to do” list. We discovered the little, white monastery run by Conventual Franciscans. I loved the Cloister the most, represented by one of the best Cloister designs in the coastal area. 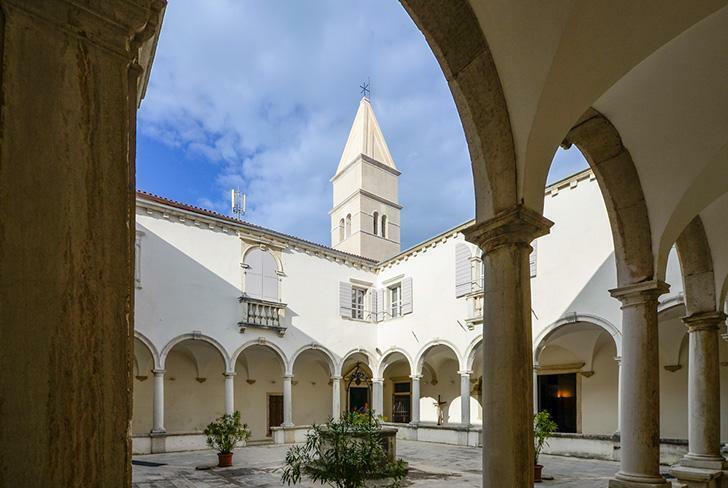 Because of its beautiful atmosphere and excellent acoustics, the Cloister has been the setting for the Musical Evenings of Piran for decades. 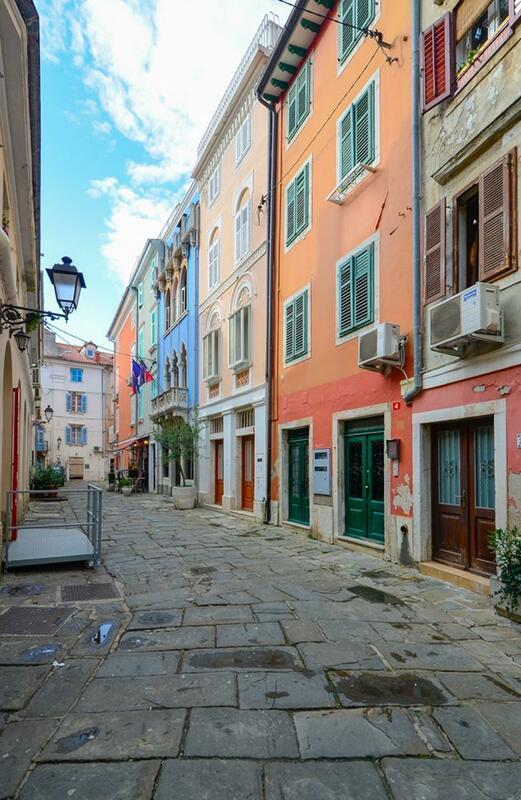 We spent the rest of our time in Piran walking up and down the town, as I could not get enough of the narrow streets. The town was not overrun with tourists. Most of the time we walked completely alone enjoying the tranquillity. As far as the restaurant scene goes, try any of the restaurants past the main square offering a perfect view of the sea. The menus feature primarily fish and seafood but can also accommodate other culinary desires. 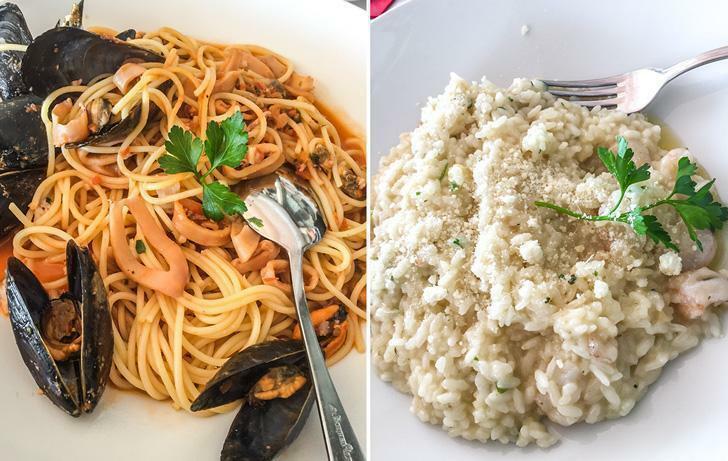 The seafood risotto and seafood spaghetti I shared with my husband, at Tri Vdove restaurant, were perfect. 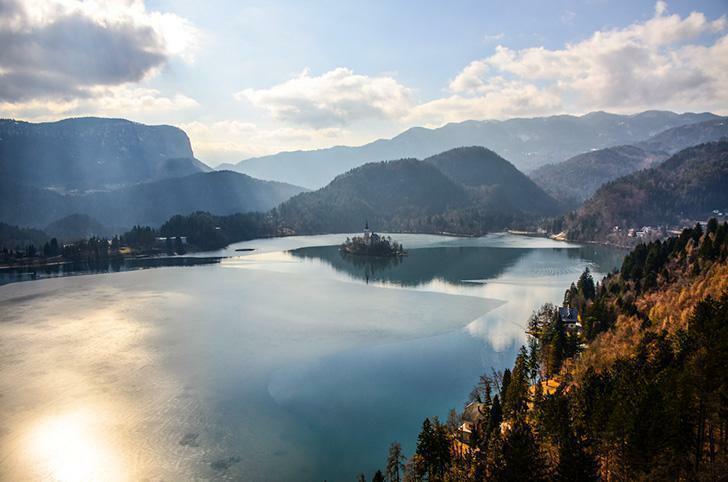 It’s easy to see why visiting stunning Lake Bled is one of the most popular things to do in Slovenia. Our final day was dedicated to visiting Lake Bled. The lake sits in a picturesque area, surrounded by forests and mountains, in the vicinity of Triglav National Park. The emerald-green lake is a mix of glacial and tectonic origins. 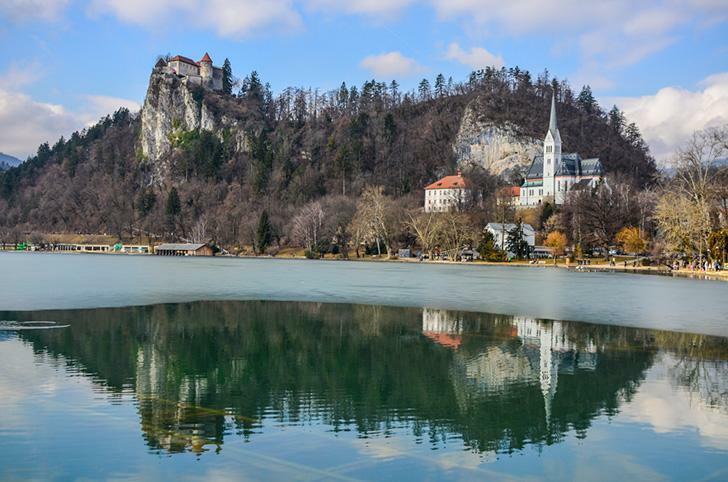 You can visit the island in the centre of Lake Bled by pletna. Even in the off-season, you will have to shimmy your way through hundreds of tourists who come here to see the famous little island in the middle of the lake. The church on the island is dedicated to the Assumption of Mary and is visited by pilgrims from all over the world. The small island can be reached by pletna — a wooden rowboat. Similar to Venice, the profession of pletna oarsman is a respected one, handed down from father to son. The ride is relaxing, where one can bask in the tranquil atmosphere. 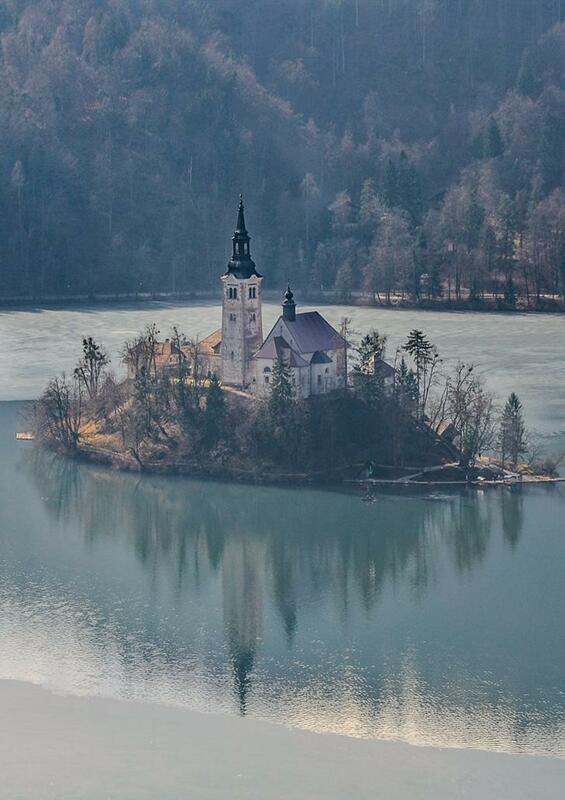 Do take the time to hike up to Bled Castle, perched atop a cliff rising 130 meters above the lake. 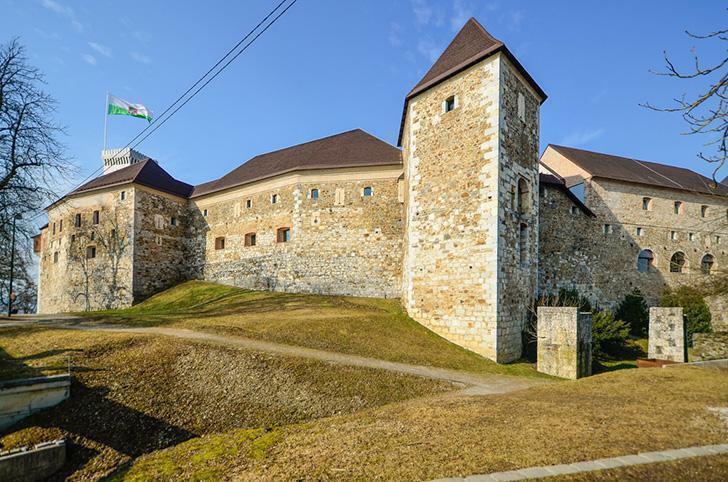 It’s the oldest castle in Slovenia, mentioned first in the year 1011. The castle terraces offer spectacular views of the lake and the surrounding area. Dogs are allowed on the castle grounds but not in the museum and other interior areas of the castle. 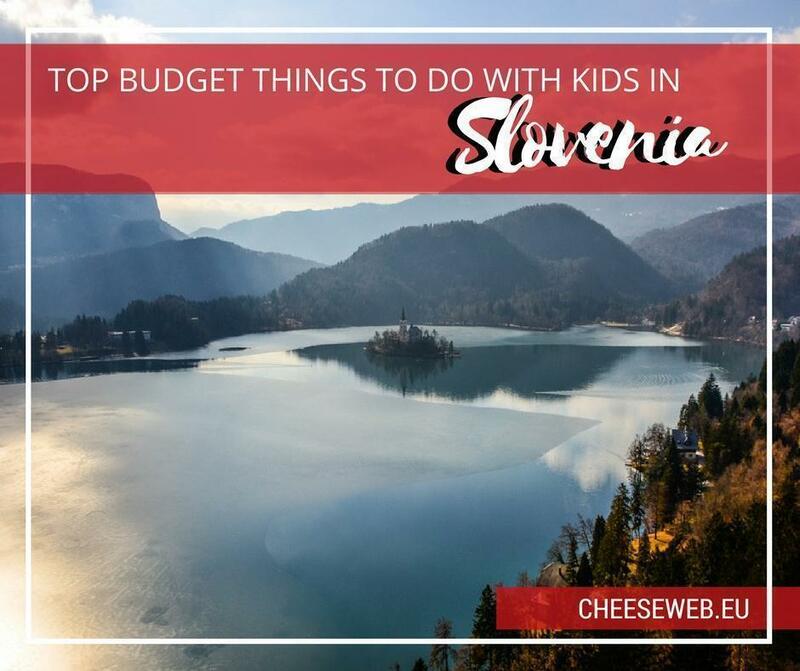 Visiting Slovenia with kids is a fantastic budget adventure with plenty to see and do. Slovenian people are knowledgeable of English, so there are no language barriers. Slovenia is a dog-friendly country and dogs are allowed in most places. Credit cards are accepted in most places except street vendors and the markets. Quality roads make getting around by car easy. There is good LTE phone connectivity throughout the country. Slovenia turned out to be as beautiful and interesting as we expected it to be. Here we found towering mountains, picture-perfect lakes, and medieval cities. However, despite its breathtaking natural beauty, Slovenia remains off the radar for many travellers. So, if in doubt about where to go next, choose Slovenia!